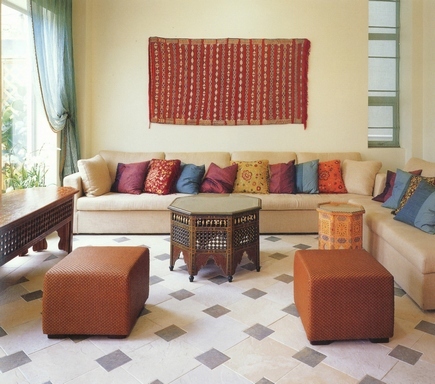 Nice mix of traditional ethnic and the modern sofa and floor. I totally love the Indian style of interior design. The use of natural materials along with bright fabrics really does it for me.